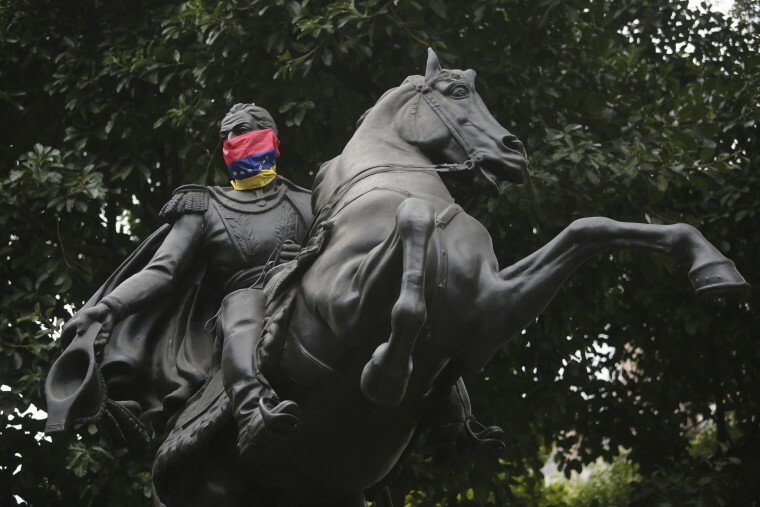 CARACAS — Venezuelan authorities have suppressed a military rebellion near the central city of Valencia, a ruling official said on Sunday, days after President Nicolas Maduro formed a legislative superbody internationally condemned as a power grab. Socialist Party deputy Diosdado Cabello made the announcement shortly after the release of a video showing a group of men in military uniform announcing a rebellion and calling for a broad uprising against President Nicolas Maduro. One witness in the area of a military base in the town of Naguanagua reported hearing gunshots before dawn, but Cabello said the situation had been brought under control. The Defense Ministry did not immediately respond to a request for comment. On Friday, government allies inaugurated a new legislative superbody that the Venezuelan opposition and leaders around the world denounced as a power grab by Maduro. In Sunday's video, a man who identified himself as Juan Carlos Caguaripano, a former National Guard captain, said: "We demand the immediate formation of a transition government." He was flanked by about a dozen men in military uniforms. "This is not a coup d'etat," he said. "This is a civic and military action to re-establish constitutional order. But more than that, it is to save the country from total destruction." The rebellion came as Venezuelan opposition leader Leopoldo Lopez was returned home to serve his sentence under house arrest, days after he was hauled back to prison in the middle of the night in a move that drew international condemnation. The activist's wife Lilian Tintori said in a message on Twitter late Saturday that she and her husband remain committed to achieving "peace and freedom for Venezuela." Lopez was released from prison on July 8 and placed under house arrest after serving three years of a 13-year sentence on charges of inciting violence at opposition rallies. Many human rights groups considered him a political prisoner. Some saw his return home as a sign Venezuelan officials may be rethinking the crackdown, even as the new, all-powerful constitutional assembly ousted the defiant chief prosecutor. Cries of "traitor" and "justice" erupted from the stately salon where 545 pro-government delegates voted Saturday unanimously to remove Luisa Ortega from her post as the nation's top law enforcement official and replace her with a staunch government supporter. They said they were acting in response to a ruling by the government-stacked Supreme Court, which banned Ortega from leaving the country and froze her bank accounts while it weighs criminal charges against her for alleged irregularities. Ortega, a longtime loyalist who broke with the socialist government in April, refused to recognize the decision and vowed to continue defending the rights of Venezuelans from Maduro's "coup" against the constitution "with my last breath."